If only all wars could be resolved this peaceably. Back in 1859, a lot of people thought San Juan Island, Washington, was a fine place to settle. (They do today, too, but that’s another story.) The natives who’d fished, hunted and gathered for millennia had been shoved aside by the Spanish, British and Americans, and now the Americans and British both claimed land rights. Prickly times. One fine day an American, Lyman Cutlar, shot an English pig that rooted once too often in his potato patch. You don’t go shooting Her Majesty’s pigs without paying the prie. British authorities made threats, the U.S. Army charged in, the Royal Navy responded with warships. Fortunately they were ordered to fire only if fired upon. There matters stood for 12 solid years. The island was under joint military occupation, and everybody got along, more or less. In 1871, the problem was sent to a third party: Germany. Kaiser Wilhelm I decided in favor of America, and in 1872 England ceded the island. Thus ended the last territorial conflict between the U.S. and Great Britain, a war with one casualty, a potato-loving pig. Now the English Camp and the American Camp, at opposite ends of San Juan Island, are parks for visitors, with walking paths, guided tours, and gift shops. There’s a whole lot more to see and do on the largest of the San Juan islands. Trying to check out all the interesting spots is a challenge; Friday Harbor gets a blog post of its own. On the edge of town is the San Juan Historical Museum, 8 buildings on 1.6 acres. This is not your standard display of dusty old stuff behind glass. 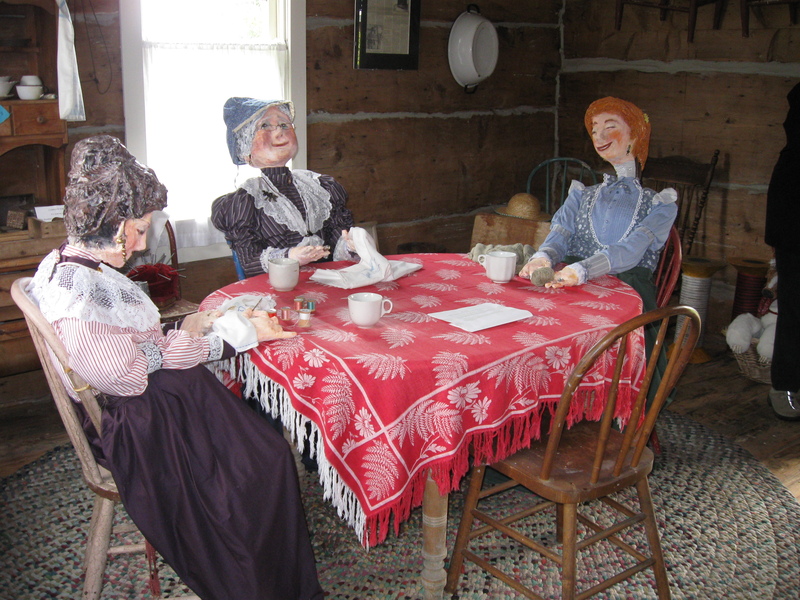 It’s more like a step into a living past, with furnishings just as they probably looked in the farmhouse. There’s a 2-room log cabin where a family of 11 lived, a carriage house, and even the first jail in the county. The 1894 jail, used until 1971, has 3 tiny frontier-style cells, and as I peer in I feel a smidgen of sympathy for those rum-runners and smugglers who snuck sheep’s wool in from Canada. More commonly, drunks were tossed into these cells. Once, during Prohibition, thieves broke into the jail. They filed through locks and stole 6 cases of the hooch the sheriff had stored inside. Heading northwest, I spot San Juan Vineyards, where some good wines are produced from various grapes, including those grown here–Madeleine Angevin, Siegerrebe, and Pinot Noir. Twice a year, Thanksgiving and Memorial Day, the owners hold Barrel Tastings, and in October customers love to come help with the picking and enjoy the Harvest Festival. Unfortunately, it’s not happening today, so I move onward to Sculpture Park, an unusual place worth a stop. The park has more than 100 intriguing pieces of statuary in metal and stone, with 19 acres of trails winding among them. Finally I get to Roche Harbor, at the far tip of the island. What a lovely place. Without the signs and old kilns, I would never know it used to be a lime-producing site where they burned 32 cords of wood a day to make industrial lime. Now it’s a resort with a world-class marina, luxury lodgings, a quaint hotel, a spa, and artists’ shops. I just wander around and drink it all in while flags flutter in the breeze and sailboats come and go. 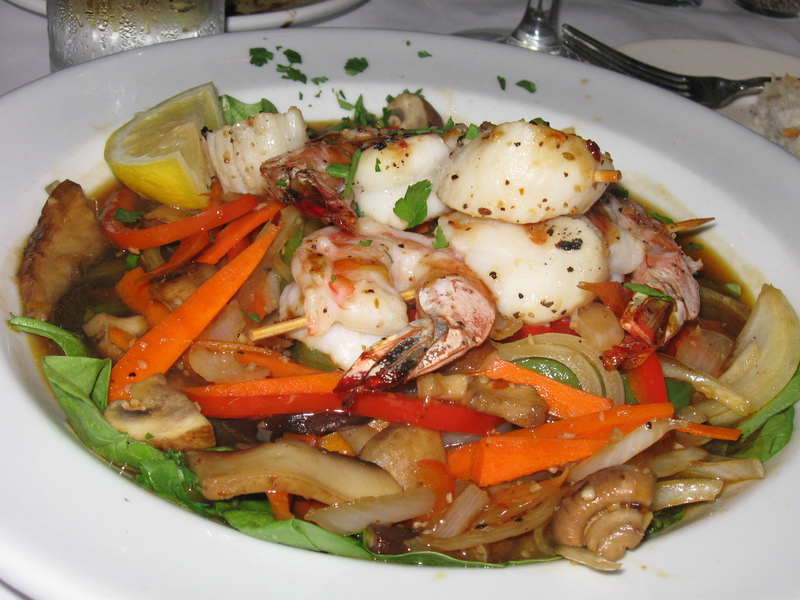 Later I’ll go to Vinny’s Ristorante. I know the seafood and pastas are excellent but am not sure if they serve pork. If they do, I might have a taste, with a glass of wine, and drink a toast to the pig who started a war in which nobody was killed. 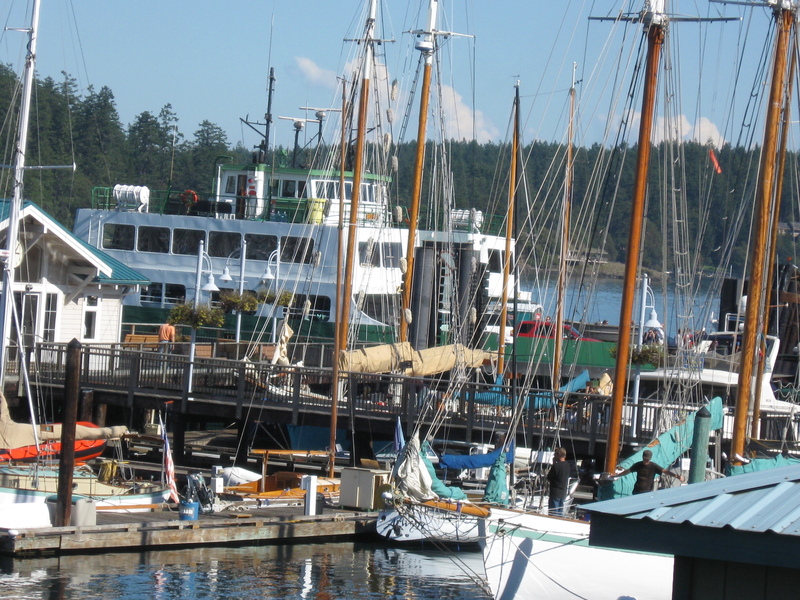 Friday Harbor is the largest settlement in the San Juan Islands, in Washington. As I wander through the town, set on a snug harbor in the Salish Sea, I keep discovering surprises. I didn’t expect so many intriguing art galleries, excellent restaurants and offbeat shops in such a small ﻿place (pop. 2,290), but I’m finding them on almost every street. I did know that the fishing is great, the climate benign (half the rainfall of Seattle), and the wildlife abundant. I’m not spotting Orca whales from shore, but I’ve seen them spouting and breaching, and it never fails to give me a thrill. 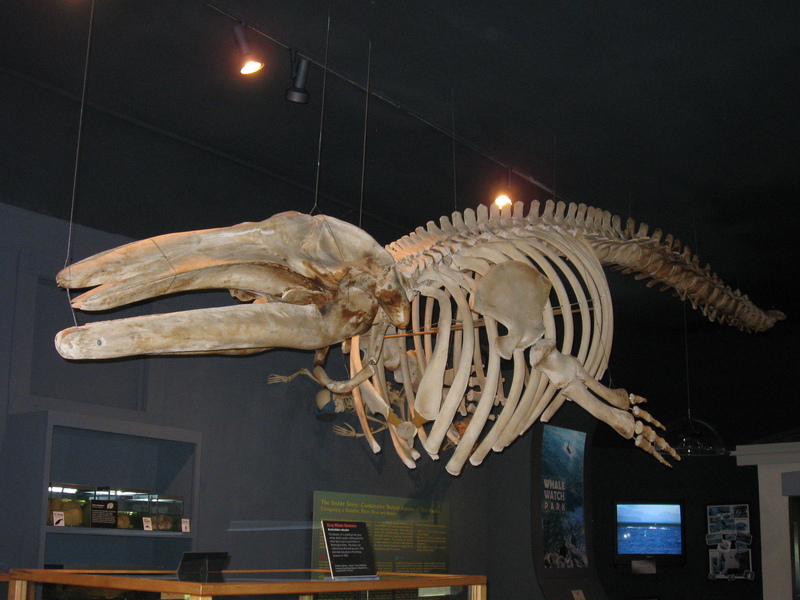 I could go out with one of several whale-watching boats, but for now I’m satisfied with the Whale Museum, where enormous whale skeletons and models hang from the ceiling, and whale songs and films are played. 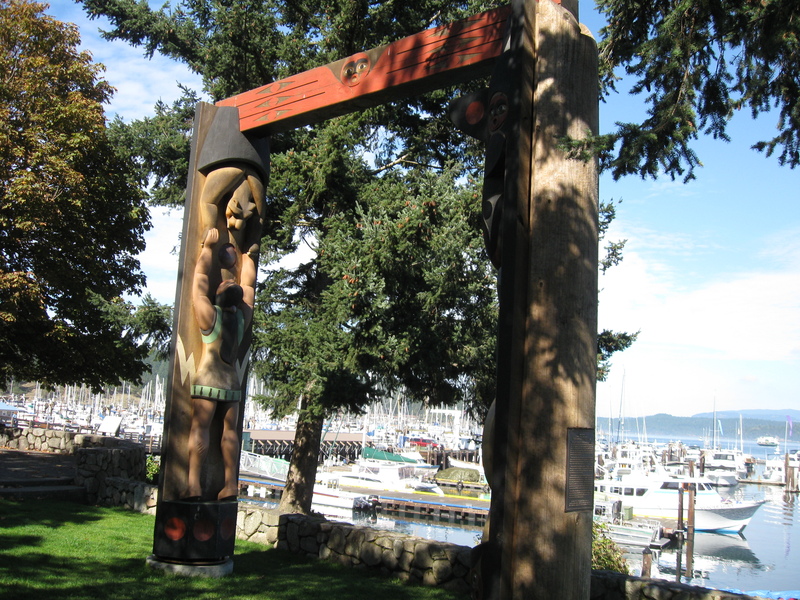 A walking tour takes me to Memorial Park, a World War I memorial, and to the carved totems called Portals of Welcome, both overlooking the boat-filled harbor. Down the street and around the corner, the scent of lavender draws me into the Pelindaba store. Trust me, you’ve never seen this many lavender products, from lavender-chocolate ice cream and truffles to lavender dog biscuits and lavender earrings. Amazing. Further along, in Island Studios, an art gallery and shop, I find incredibly creative works by island artisans. Pottery, paintings, jewelry, crazy lamps, old vinyl records turned into art. 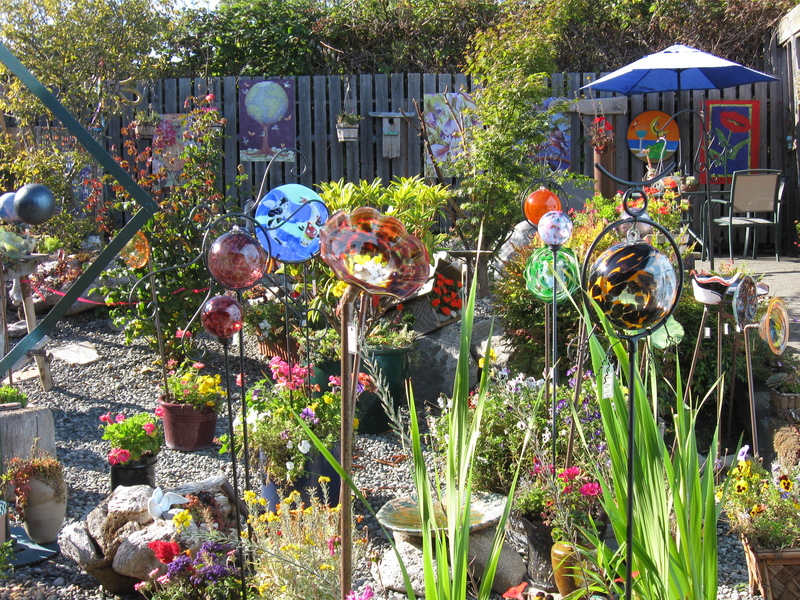 Outdoors, in back, there’s a garden of one-of-a-kind sculptures and glass near a pond where fat fish swim. At San Juan Hot Shop and Flavor Emporium, I marvel at shelves crammed with a world of chiles and pepper sauces. From there I amble into Serendipty and am lost for the rest of the day. This is a great used bookstore, in a restored old home. Check online reviews and you’ll see what I mean. 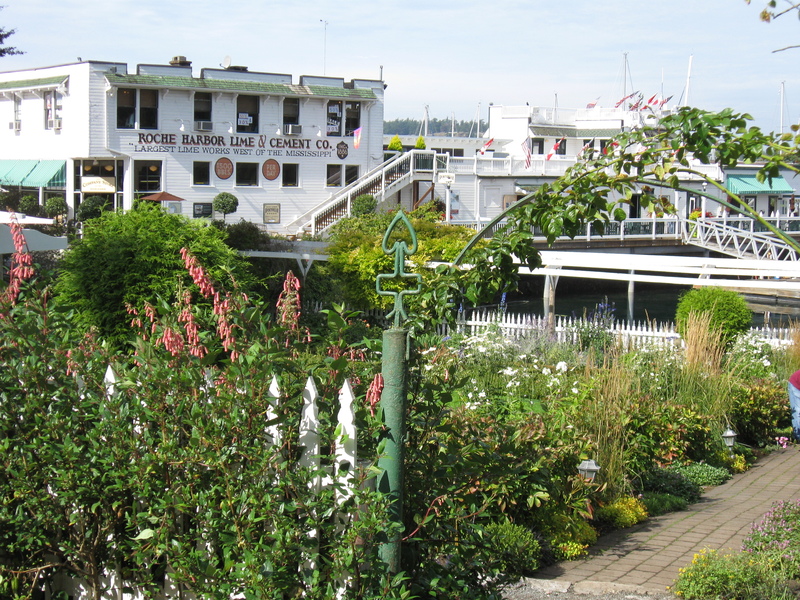 Or better, come to Friday Harbor and see its charms for yourself. I bed down in a very comfortable room at Bird Rock Hotel. Once called the Tourist Hotel, it’s been in operation since 1893, and I’m happy to say it has undergone quite a few changes. A century-plus ago, lodging didn’t include ipod docking radios, high-speed wifi, and espresso makers. Wouldn’t that have sounded like a foreign language? This is only the beginning. I suspect there’s a lot more to San Juan Island. More to come.